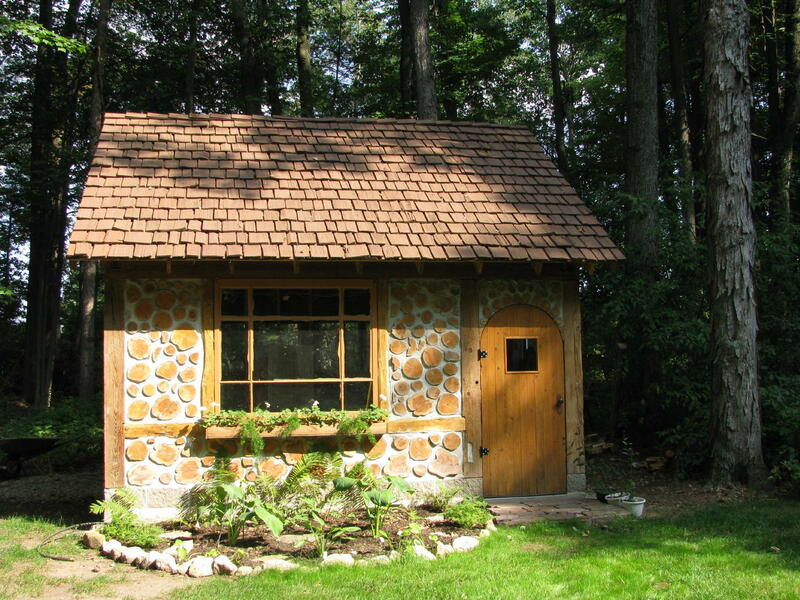 Tom & Mary Barchacky built this wonderfully attractive cordwood shed in the city of Green Bay, Wisconsin. It is a building that was an idea that morphed into a project that became a work of art. 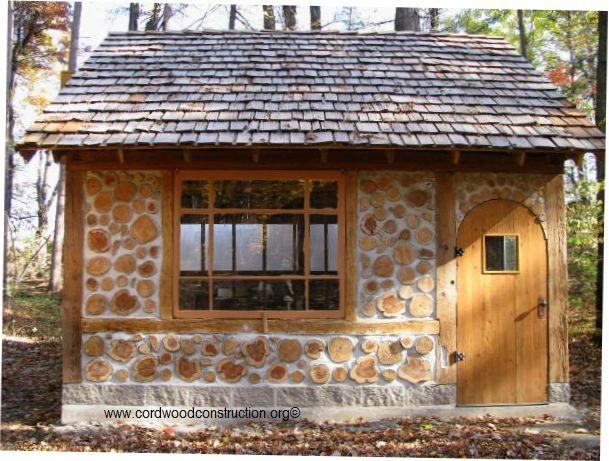 Tom and Mary Barchacky built a beautiful cordwood shed in Green Bay, Wisconsin. 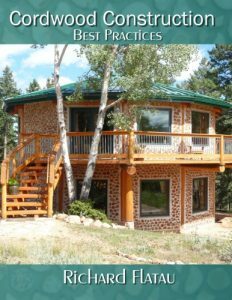 The building is made from all repurposed and recycled materials. The door was made from used lumber, the window was found in an alley in Milwaukee, the shingles are recycled and reused. 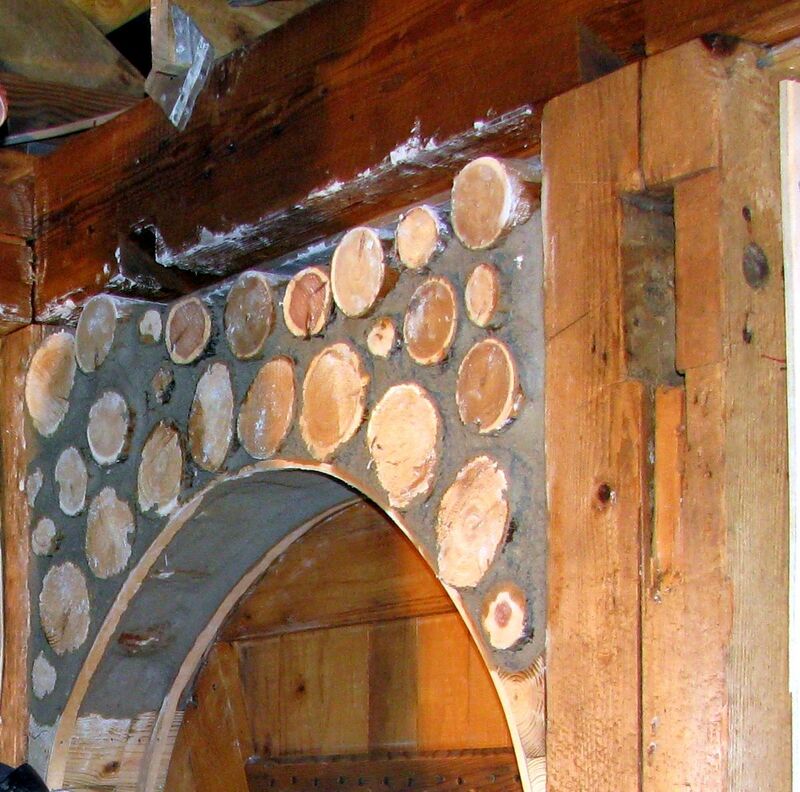 The arched door was hand built with recycled lumber and the cordwood was infiled around a temporary “bent” board. 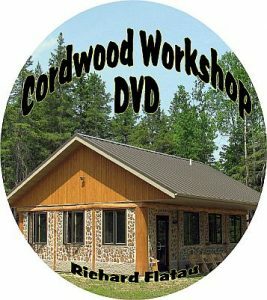 The cordwood infill is red heart cedar and was free for the taking from a neighbor who does tree pruning. 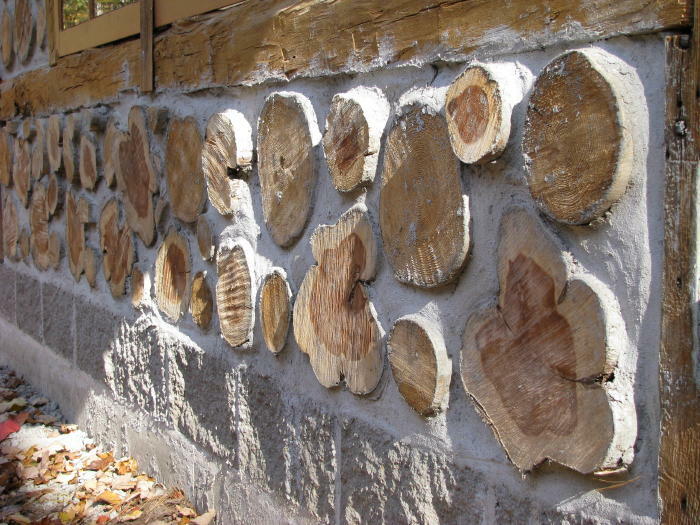 Red heart cedar has a beautiful undulation to the perimeter of the log and the center has a reddish tinge. 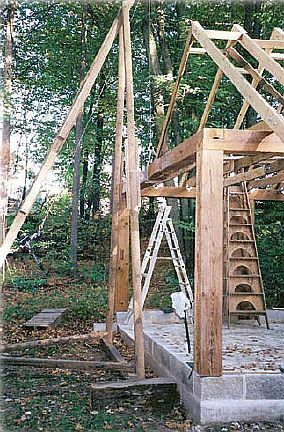 Tom used a block and tackle “truss derrick” to raise his top plate and roof trusses. Tom used what he terms a “truss derrick” to place his top plate and trusses on the framework. The building has a pleasant appearance and blends in well with their property. 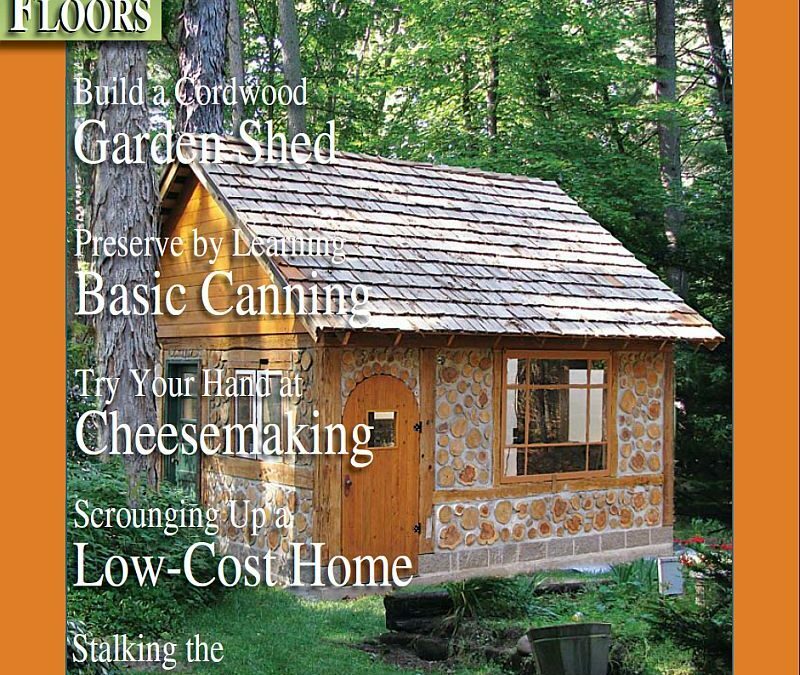 Backhome Magazine published an article on this wonderful garden shed and now they use the cover for advertising. 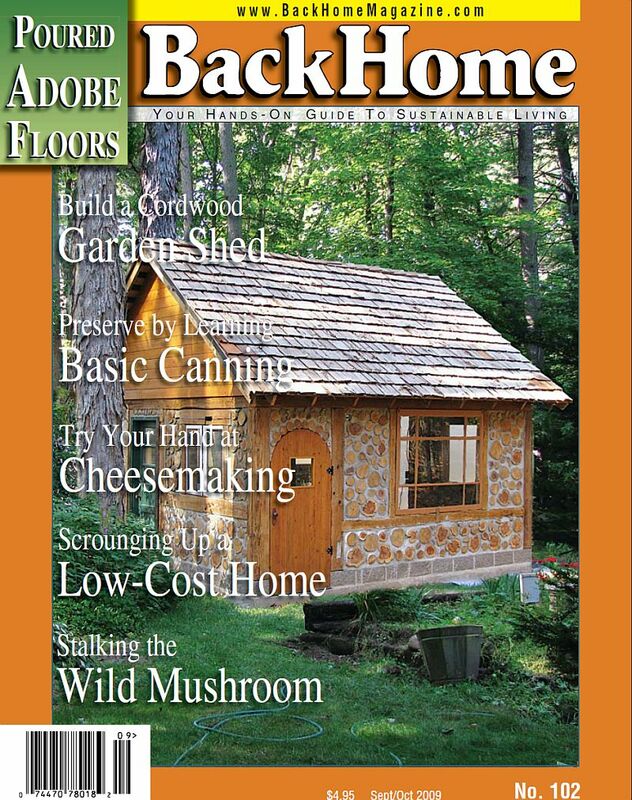 The cover of Backhome Magazine about the Barchacky Cottage Garden Shed. Hope you enjoyed this article. If you liked it please visit my Facebook page and website.